Rod teaches jazz piano at Providence College. He plays piano music for all types of functions including wedding receptions and fundraisers. He accompanies vocalists and performs in solo concerts. Rod enjoys playing jazz standards and show tunes, including the music of Gershwin, Ellington, Porter, Berlin and others. He also plays popular songs by Elton John, Stevie Wonder, James Taylor and Alicia Keys. Rod has studied improvisation techniques with David Darling and taken jazz studies at Naropa Institute in Boulder, Colorado. He has studied jazz piano privately with Stanley Cowell, Norman Simmons and Paul Schmeling. Let your creative body, mind, and spirit explore space, music and, freedom--individually and with others. Lose yourself in the movement amongst works of art. Let creative expression flow. Ignite your inner radiance. Everyone is a dancer--all are welcome to this led dance. To RSVP, please call 508-636-4177 or email monica@dedeeshattuckgallery.com to reserve seating for this event. Caryl Sickul believes expressive dance, music, painting and poetry have a powerful connection to the heart and whole person. She teaches private and group yoga sessions and healing movement at her South Dartmouth Studio and Little Compton Community Center. While a Professor of Dance, Theatre and Fitness she traveled and performed in America, Europe, Africa, India and Indonesia. As a Dance Movement Therapist, Caryl led movement workshops at Universities and Medical Conferences. Currently she dances solo with ROW 12, a Boston concert group of musicians and poets. Julie Devi is a lover of creative expression in the forms of yoga, ballet and modern dance, and improvisational theatre. She appreciates both the personal expression of dance as well as the community element of group forms such as Sacred Circle and folk dance. Julie's goal as a facilitator is to encourage everyone to feel comfortable to let their inner dancer flow with joy, ease, and experience the revitalizing, grounding and uplifting power of movement. She is a certified Let Your Yoga Dance instructor through her training at the Kripalu Center in Stockbridge, MA. 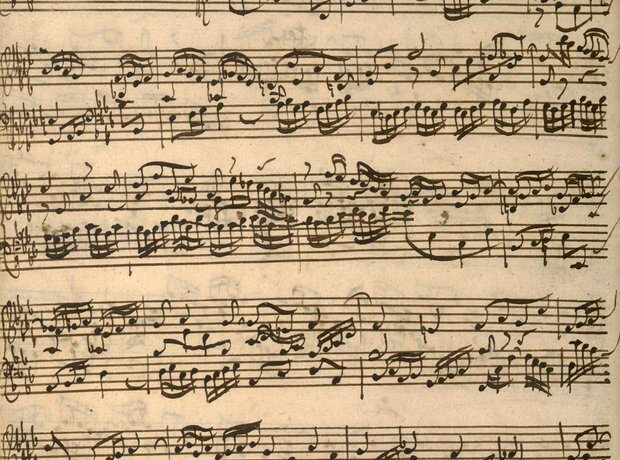 Bach composed his six suites for unaccompanied cello in 1720 at a time when few composers of his stature were exploring the technical and expressive qualities of the instrument. These beautiful masterpieces have retained their place as the centerpiece of every cellist's repertoire for the last 100 years, and have been performed and recorded by every major artist of the last century. Guy Fishman is Principal Cellist of Boston's Handel and Haydn Society, the nation's oldest continuously-running arts organization. Hear him perform three of the suites amidst the intimate beauty of the Shattuck Gallery on a magnificent Roman instrument built in 1704 by David Tecchler. With the fairy forest open to visitors, please come by for a magical walk into another realm. Maybe even stop to build a little fairy house. All are welcome, bring the kids and your imagination! Costumes are recommended as it's so close to Halloween! Please join us for a Closing Reception to toast off the wonderful works of Maya Brodksy, Tamalin Baumgerten, and Claudia Olds Goldie. Join us for a meet and greet with prize winning author Justin Spring as he presents his new book. During the thirty-year boom in France following World War II -- les Trente Glorieuses -- Paris was not only the world's most stylish tourist destination, it was also the world capital of gastronomic genius. 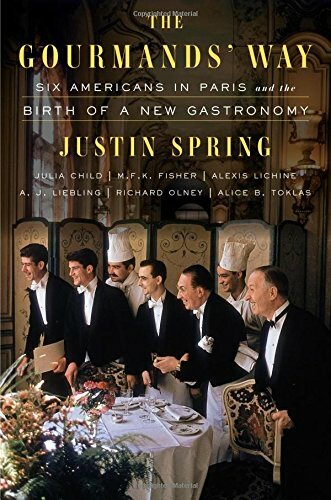 In The Gourmands' Way, Justin Spring tells the story of six American writer-adventurers having the time of their lives in the City of Light during this period and, in doing so, transforming the way Americans talk and think about food -- and the way they eat. Click here to visit his website! Please call the gallery at 508-636-4177 to reserve seating. Join us for a documentary on painter Andrew Wyeth! With Michael Palin as our narrator, we join him as he dives into the world of Andrew Wyeth's work. Enthralled with Wyeth's "Christina's World" Palin goes in search of the real life stories that inspired Wyeth's realistic depictions of life--"building a picture of an eccentric, enigmatic and driven painter" along the way. Running time is 1 hour and Admission is free! Inge Wegge (25) and Jørn Ranum (22) spent nine months one winter on an isolated and uninhabited arctic island in Northern Norway. There they built a cabin out of driftwood and other cast-off materials that washed ashore, and ate expired food. They did bring their surfboards. The remote bay holds a well kept secret: some of the worlds best surfing waves in the world. Climate change and human activities are threatening the very existence of tropical islands on the Caribbean Coast of Nicaragua. blueEnergy works with communities in a participatory manner to build common understanding of the threats they face and co-create solutions. Mathias Craig, an Ashoka Fellow, CNN Hero, and Fulbright NEXUS Scholar, whose experience includes 14 years of working to empower healthy families and resilient communities in some of the poorest regions of the Western Hemisphere, will be speaking on these issues and how you can support blueEnergy’s efforts in the region. blueEnergy creates energy, water, and sanitation solutions for some of the world’s most isolated, marginalized communities, providing a foundation for health, education, and economic opportunity within the context of a changing climate. blueEnergy's community-based work provides an immersive, enriching learning platform for future global leaders interested in energy, water, climate change, and international development. A talk by Icelandic artist Stefan Boulter, who will discuss his paintings and life above the Arctic Circle. Artist and writer David Molesky will give a gallery talk discussing the depiction of water forms in his paintings andZaria Forman's drawings. Molesky will discuss how these depictions of natural formations represent the sublime and are in a sense collaborations with Nature as artist. Documentary film series at Dedee Shattuck Gallery! Brought to you by the Westport Cultural Council. Wednesday, August 16th, 7pm: Riding My Way Back: a short documentary that chronicles one soldier’s journey back from the brink of suicide. In 2010, Staff Sergeant Aaron Heliker returned from multiple deployments to Iraq and Afghanistan with traumatic brain injury (TBI) and Post-Traumatic Stress Disorder (PTSD), in addition to third-degree burns and nerve damage from a roadside bomb. At his most desperate and isolated, on 42 medications and suicidal, Aaron is introduced to the unlikeliest of saviors: a horse named Fred. Through caring for Fred and building mutual trust, Aaron begins the difficult process of reconnecting to the world around him and healing the terrible, invisible wounds of war that had nearly defeated him. Our guest speaker is Julie Lovely, a life-long horsewoman and the Executive Director and founder of Wild Hearts Therapeutic Equestrian Program in West Bridgewater, MA. Wild Hearts offers Equine-Facilitated Psychotherapy along with "Wild Hearts Horses for Heroes" to help military veterans with Post Traumatic Stress Disorder. Julie holds two certifications from the Professional Association of Therapeutic Horsemanship: Equine Specialist in Mental Health and Learning, and Therapeutic Riding Instructor. Wednesday, August 23rd, 7pm: “The Eagle Huntress” is a spellbinding documentary that follows Aisholpan, a 13-year-old nomadic Mongolian girl who is fighting to become the first female eagle hunter in twelve generations of her Kazakh family. Through breathtaking aerial cinematography and intimate footage, the film captures her personal journey while also addressing universal themes of female empowerment, the natural world, coming of age and the onset of modernity. Directed by Otto Bell, 2016. 1hr & 27min, English sub-titles. Our Guest Speaker is Marla Isaac, director of the England Reptile & Raptor Exhibits in Taunton, MA. A naturalist and falconer she strives to bring an understanding of biodiversity by allowing people to meet fascinating animals placed in her care by state and federal wildlife agencies. As ambassadors of the wild, these birds demonstrate that we must preserve, protect and appreciate the wonders of nature and life itself. Wednesday, August 30th, 7pm: “Dogs on the Inside”was filmed in a Massachusetts prison and follows evolving relationships between abandoned rescue dogs paired with prison inmates as they work together toward a second chance at a better life. Giving a voice to a forgotten dog and a forgotten man, the film is a life-affirming testament to the power of second chances. Directors: Brean Cunningham, Douglas Seirup, 2014 1hr & 7min. Our guest speaker is Lindsay Doray, Development Manager for Second Chance Animal Shelter for the last seven years and actively involved prior to that, founded Project Good Dog over 2 years ago to help dogs that are behaviorally needy get the training they need so they are more adoptable. This program enables the shelter to have more capacity to help animals by providing a place for the harder to adopt dogs and also provides the dogs with training so that they are much more adoptable when they return. The program also has several benefits to the inmate handlers as well as the correctional facility where the animals are housed. Working with animals has always been her passion. Lindsay is a graduate of Worcester State with a Bachelors in Sociology. Please register for this event on our EventBrite page as tickets are limited. "David Baron began his career as science reporter for WBUR in Boston and went on to cover science, medicine, technology, and the environment for “All Things Considered,” “Morning Edition,” and “Weekend Edition” on NPR. A speaker at Point of Departure on July 7-8th at the Ellie Caulkins Opera House, David has felt the heat of erupting volcanoes, the chill of the South Pole, and the bite of African safari ants over the course of his radio career. Now an author, his 2003 book The Beast in the Garden tells the story of Colorado’s first fatal mountain lion attack and won a Colorado Book Award. Here we talk with David about his early days in radio, the power of science, and petting a sleeping lion." We are excited to host author David Baron at Dedee Shattuck Gallery for an afternoon talk with him on his book Beast in The Garden. As part of the ongoing 2017 Writers Series, Partners Village Store is pleased to present an evening with Dartmouth-local Holly FitzGerald, in celebration of her debut memoir “Ruthless River” on Thursday, June 7th at 6pm at Dedee Shattuck Gallery.